Sri Lankan based DJ, producer and visual artist, composes music across the board and is deeply influenced by jazz & funk with a minimal/micro aesthetic. Nigel Perera has belted out 2 Minimal Yet Deep Bombs here! The production skills shown here are just out of control! We are very pleased to see such talent come out of the Indian Subcontinent. Nigel has a very promising future ahead of him and this is just a little sneak peak! Sri Lanka is also becoming a gold mine of talent as you can hear in this ep and we are very excited to collaboration more with our Sri Lankan Friends! 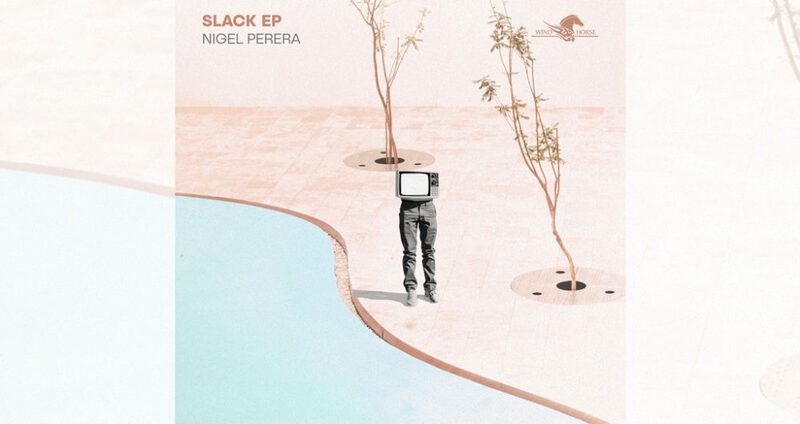 Nigel Perera is a DJ,Producer,Graphic Designer & Coffee Drinker from Colombo, Sri Lanka.As a DJ, He plays across the board, including the likes of Funk, Jazz,Hip Hop and House. He produces & plays music that draws on these influences, with a large dose of cheek & good humour. Nigel encountered mixing back in 2012. He got his first break with his first club gig where he was the Sunday resident with a repertoire of all the old classic 70s & 80s hits. After being under the shadow of the Colombo club scene, Nigel started garnering his own sound and that later got him into the electronic music scene. Nigel Perera started producing music in 2015 and released his deput EP on the local imprint ‘Jambutek Recordings’. He has also been signed to Zurich’s Experimental Electronics label ‘Wondermachine Music’ and Wind Horse Records India. His sound has a very signature soulful and jazzy touch to the melodies and riffs while everything is held together with a good funky baseline.